"We have pushed for this day for so long." The world's largest ivory market is in China - and it's about to shut down forever. Last week, China announced a timeline that would end its domestic ivory trade by the end of 2017, with the first ivory factories closing as early as March. 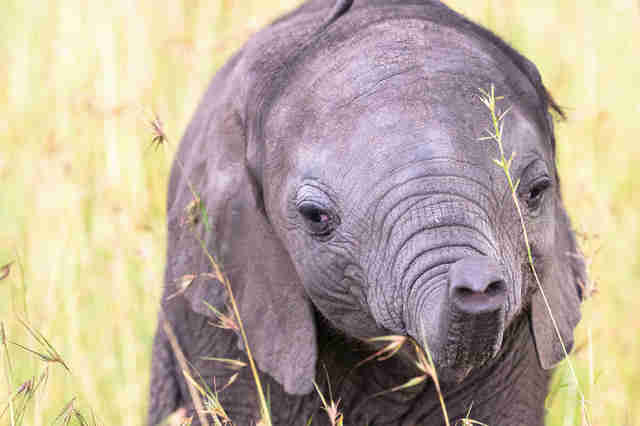 People who have been fighting to save elephants from extinction are celebrating the news as "the greatest single step that could be taken to reduce poaching for elephants." 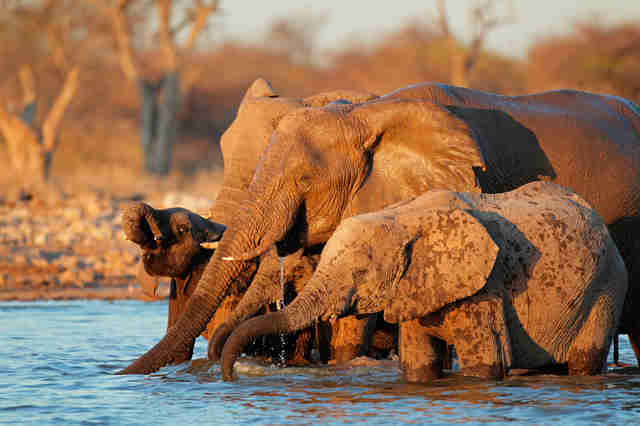 The decision could be our biggest hope of saving African elephants - here's why. People have been killing elephants for their ivory for centuries, but the bad news got worse in 2007. That's when the Convention on International Trade in Endangered Species of Wild Fauna and Flora (CITES) allowed China to buy stockpiles of ivory from four African countries, despite a 1989 international ivory trading ban. The hope was that flooding the market would decrease ivory's value and therefore demand and poaching. The result was the opposite: An ivory frenzy was unleashed that would take countless elephant lives. "I literally saw the whole disaster unveiling in front of my eyes," Grace Ge Gabriel, Asia's regional director for the International Fund for Animal Welfare (IFAW), who has been working to save elephants for 20 years, told The Dodo. "The trickle of demand in China turned into a flood." Now it's estimated that an elephant is killed for his tusks every 15 minutes. So many orphaned elephants are left behind when their parents are killed by poaching that people are raising baby elephants in orphanages. The Dodo spoke with Gabriel to understand how China's announcement could actually save elephants from extinction. Driven by the huge ivory demand created when the market opened up in 2007, poachers used gruesome tactics to kill as many elephants as possible. "Poachers came in on horseback with machine guns," Gabriel said. "A lot of the elephants they killed were baby elephants. Entire families were killed." Gabriel followed the ivory that was eventually seized by governments to try to understand where all the tusks were even coming from. "The tusks got smaller and smaller - either they were forest elephants or they were baby elephants," Gabriel said. Ivory values skyrocketed. Traders told people that if they bought ivory, the price would triple in a year. "Shop owners were saying they couldn't keep enough ivory on the shelves," Gabriel said. "We needed to reduce consumer desire for ivory, period." There is no word for tusk in Chinese; ivory is translated as "elephant teeth." Gabriel said that this is one of the reasons that Chinese consumers have no idea that the ivory they're buying is tainted with blood. A 2007 IFAW survey found that 70 percent of Chinese people didn't know ivory came from dead elephants. So IFAW started an advertising campaign telling people why buying ivory kills elephants. The impact was stunning. According to the survey, 83 percent of people said that they wouldn't have bought ivory if they had known. An email from an artisan who carved ivory was especially memorable, Gabriel said. "He said, 'I have other materials - I don't have to use a material that takes a life.'" But the public education campaign wasn't enough. The legal market was giving criminals opportunities to sell illegal ivory from newly killed elephants (not stockpiles from poaching already committed), Gabriel explained. And this confused consumers and made enforcement of the legal trade pretty much impossible. That's why the Chinese government had to finally take a stand. In 2012, ivory was banned from being sold at auction in China - and the value of ivory plummeted. Gabriel believes that further restrictions, along with decreasing value and a more enlightened public, will make desire for ivory pretty much nil. "I think this policy will drop the price and also stigmatize ivory consumption," Gabriel said. Last year, when Chinese President Xi Jinping first promised to phase out the domestic ivory trade - along with the U.S., the world's second largest market for ivory, which banned its domestic trade last year - it was unclear when and how this would happen. Now that China's concrete plan to shut down the ivory market has been released, Gabriel and her colleagues are breathing a huge sigh of relief. "It's something I've worked on for 20 years ... It was so emotional when this announcement came out," Gabriel said. "We have pushed for this day for so long." There's still more to be done. Now Gabriel would like to see the decree that ends the ivory trade in China officially written into the country's wildlife law, along with plans for enforcement and punishments for those who break the law. And sights are set on Japan, Thailand, Vietnam, and other countries that contribute to demand, to end their trade. Elephant populations won't recover instantly, because it simply takes time for the animals to have and raise their young. Elephant moms carry their babies for 22 months and then spend three to five years raising them. But there's no doubt that the future is much brighter for elephants today. Learn how you can get involved to help save elephants here.